The question was never if the Pajari Sisters would continue to grace the Cook area with their friendly laughter and quirky entrepreneurship after the loss of the Cook Dollar Barn, but when. And now we know the answer. With roughly fifteen months behind us since the tragic loss of a historic Cook building containing two businesses and eight apartments, Lois and Laura Pajari are back at it – this time with a real barn and plenty of other animals alongside their two beloved Corgis. The farm that hosts one of Cook’s newest businesses – Cook’s Country Connection – is actually one of the oldest places in the area. And even though they officially opened on August 28, 2014, the Pajari sisters’ family has been working that land since the beginning of the 20th century. The farm and homes of Lois (husband Steve Gams) and Laura (husband Paul Williams) sit on part of the original homestead of their Great Grandmother Augusta, just atop the hill north of Cook on County Road 24, and now a brand new sign welcomes visitors to share in the history and happiness of their beloved haven. 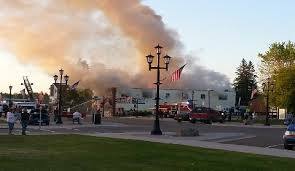 On June 17, 2013, the Pajaris experienced what experts refer to as “a life-altering catastrophic event” when flames and smoke filled the summer sky above Cook on an otherwise beautiful summer evening. Our town watched in horror, not just at the loss of homes and businesses, but at the thought of losing one of the truly charming places in Cook. Lois explains that after working through the mountain of paperwork post-fire, and hauling away the mountain of rubble sitting on 114 S. River Street, it was time to think about something new. “It was time for me to find a job,” she laughs, “The problem is, I didn’t want one.” See, the sisters had always joked that they were not running the dollar barn to make money, but to make friends, and while the fire destroyed a building, it certainly didn’t destroy the spirit of the two ladies who had succeeded in making so many friends along the way. The sisters weren’t about to settle for just another job, they wanted something that could keep them woven deeply into the fabric of this community. As Lois explains, “I am so thankful that I took the time to heal and wait for the ‘right something’ rather than the ‘next something’”. 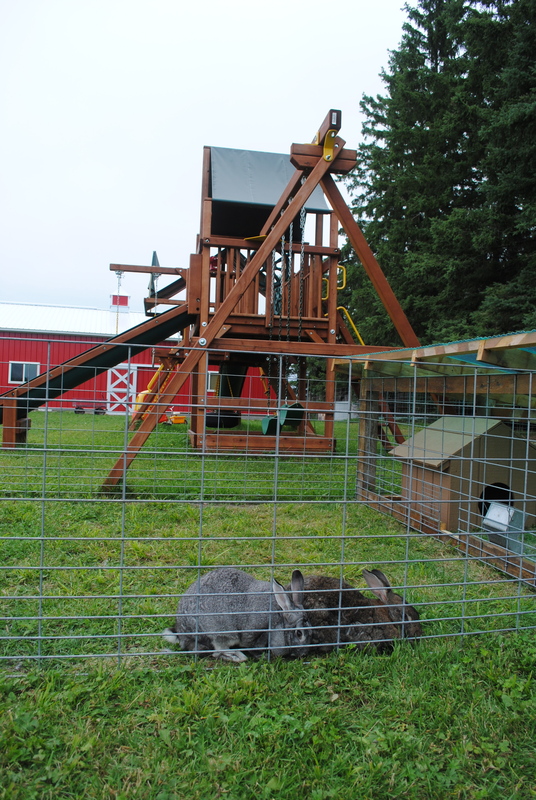 And it just so happens, this “right something” includes pygmy goats, giant bunnies, a rafter of turkeys, and plenty of other goofy critters and friendly livestock that’ll keep you grinning as long as your visit will allow. 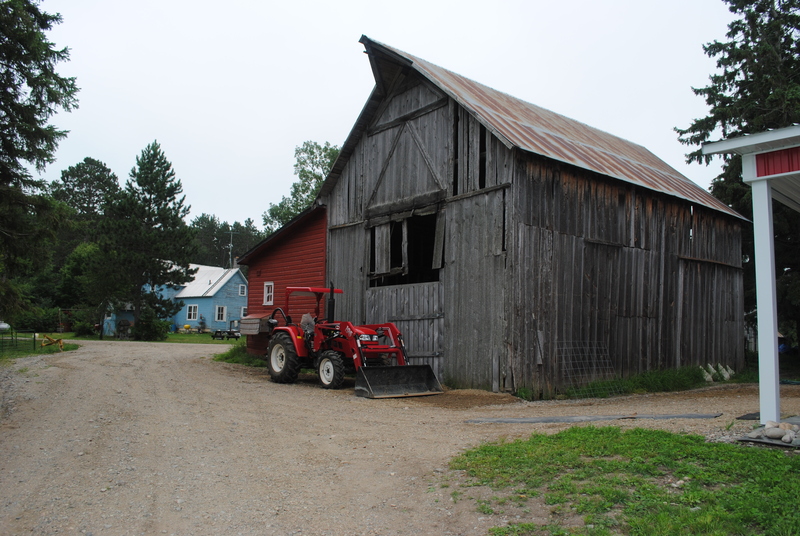 As you turn at the sign off County Road 24 just north of Cook and head west along the beautiful, tree-studded drive, you’ll soon see the original homestead barn, a relic that has earned their home a “Century Farm” award from the Minnesota Farm Bureau. On one of our visits, someone from the gang of turkeys had just laid an egg in the middle of the road. “Yeah, turkeys aren’t too bright,” Lois jokes. You’ll soon want to descend the hill and greet George and Ruby, a species of rare KuneKune pig who are sure to roll over along the fence for a belly rub as soon as you beckon. Keep some change handy and buy treats for the animals from the dispensers posted along the various pens like gumball machines. 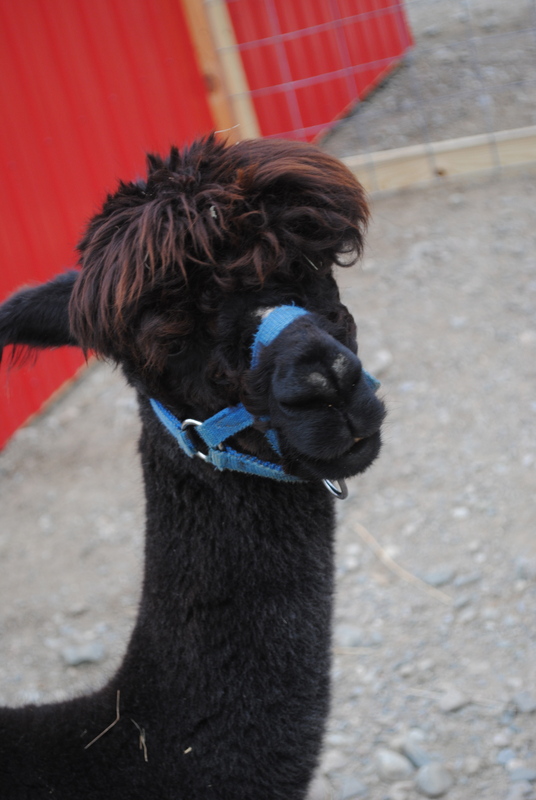 The ponies and donkeys will shyly lick snacks from your hand, while the alpacas – Maddox and Madelyn – will have you wondering if the farm keeps a professional hairstylist around. Anthony Vito, one of the many young people who help at the farm, saved up his money for two years and now is the proud owner of Lily, a miniature Scottish Highlander, whose long fur and cute horns always attract admirers. You might be lucky enough to catch Pixie and Pepper, the humorous pygmy goats, going headfirst down the slide on the plastic child’s play equipment in their enclosure. A wonderful playground fills the grassy yard and can keep kids busy for hours, along with a giant sand box full of vintage dump trucks and excavators to spark imaginative play. 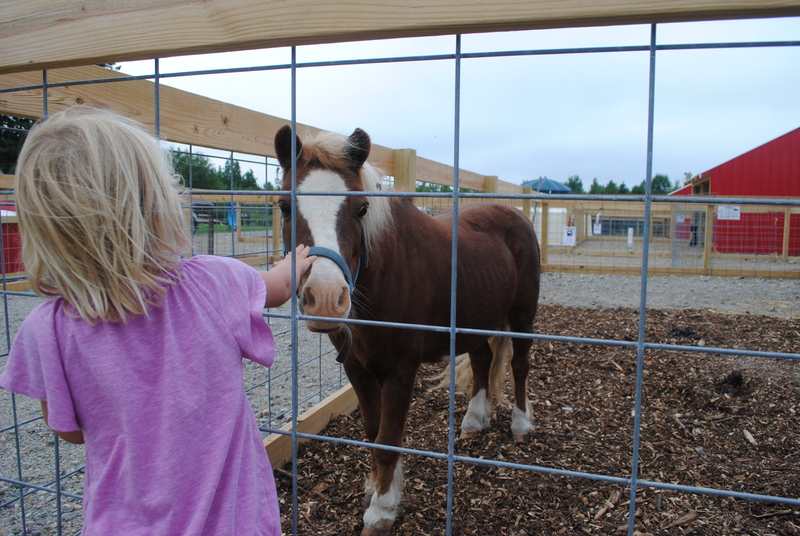 Children and adults can also spend time in the new barn, with the kids coloring pictures or working on crafts while the older visitors investigate the impressive history of the old homestead. When one considers the recent journey the Pajari sisters have been on, the story of this farm becomes all the more profound. A good home should always be a place where one can recover and heal from life’s toughest blows, and the old homestead has certainly been that for Lois and Laura. But now, the same ladies with whom we shared so many smiles and laughs at the Dollar Barn are now ready to share their home with us – helping us all connect better with the community and land that we love. Cook’s Country Connection is open for businesses, welcoming guests Thursdays, Fridays, and Saturdays through October. The cost is $6.00 per person, with special group rates available. 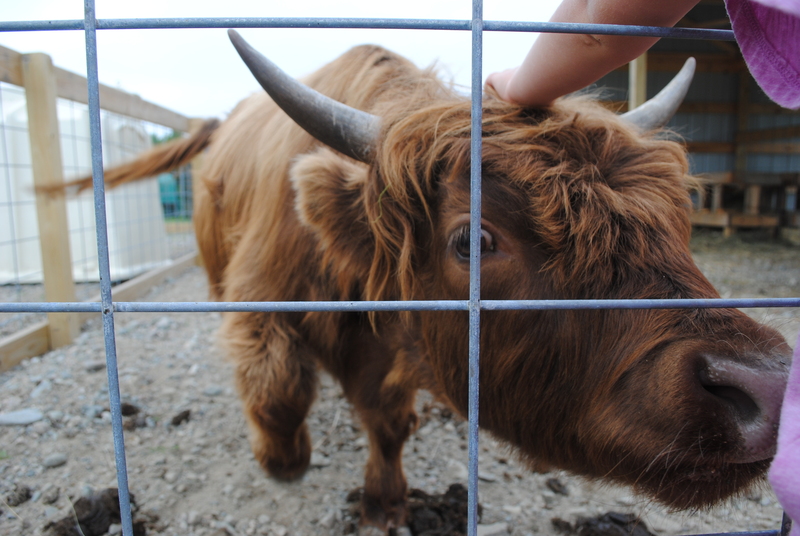 Children under two are free, so bring out the whole family this fall and enjoy the petting zoo and farm. Find out more at Cookscountryconnection.com. Thanks, Jared and Caitlyn for doing such an awesome job telling our story!